China Mobile International, China Telecom Global, Global Transit, Google, KDDI and SingTel have come together to build a trans-Pacific cable system called FASTER hat will provide with 60Tbps worth of additional bandwidth from the second quarter of 2016. Japanese tech company NEC will be the system supplier and the total investment is expected to be around $300 million (around £180 million, AU$320 million). The cable will have an initial capacity of 60Tbps (NEC didn't say what the final bandwidth would be) and will cover thousands of miles from Japan to the US west coast. FASTER will be using a 100Gbps fiber network connection and six fiber-pairs. 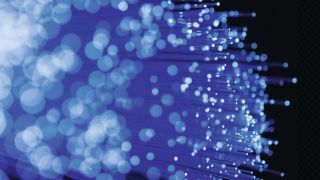 The fastest speed achieved on a single optical fiber cable is 43Tbps using one laser transmitter but a seven-core fiber made by Japanese telecom giant NTT. Mr. Woohyong Choi, the chairman of the FASTER executive committee, said: " The FASTER cable system has the largest design capacity ever built on the Trans-Pacific route, which is one of the longest routes in the world. The agreement announced today will benefit all users of the global Internet."